Bauer Vapor 1X Lite Grip Composite Hockey Stick - Youth is rated 5.0 out of 5 by 1. The new Vapor 1X Lite ice hockey stick is a tornado of high performance, thanks to a wide range of forward-thinking, elite features. Elite-level players who have come to rely on Vapor’s signature near-instantaneous response will love what Bauer has done with this year’s model. Bauer uses its Micro Feel II in the Vapor 1X to create shaft dimensions that give the player rounded corners and deep, concave sidewalls for a comfortable, contoured feel. The stick construction is Bauer’s Monocomp one-piece design that boasts superior consistency throughout the shaft. The TeXtreme carbon fiber in the 1X is 20 percent lighter and 20 percent stronger than traditional carbon fiber. Finally, micro nanotubes in the eLASTech resin system help the stick feel newer for longer, while also helping to prevent microfractures from spreading. In short, the 1X is an extremely durable stick. The Vapor 1X still has its signature ultra-low kick-point, but this model is a little more versatile than last year’s model thanks to a reinforced QRT+ taper with layers of asymmetrical carbon fiber to improve the blade stability by 20 percent. The 1X is now more versatile and performs better during hard passes, one-timers, and slap shots. This is good news for those elite-level Vapor users who take more slap-shots, and felt the blade opening up in last year’s model. The quick-release of the 1X has also improved by 11 percent, with seven fewer grams of weight in the blade. 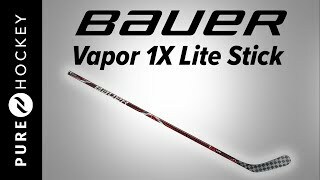 The Vapor 1X is now the quickest releasing stick of any Bauer offering and has the lightest blade, as well, for a nearly perfect, balanced feel. Bauer achieves this thanks to its ACL—Advanced Carbon Layering—a series of strategic carbon layers in the blade that increase edge durability without compromising shot performance. Combined with the Aero-Sense 2 blade core, the outer edge is much more durable and less prone to chipping and cracking. The sense layer—the aerofoam—on the inside is stiff and rigid, helping the 1X provide that quick pop that elite skaters expect from a Vapor stick. The senior stick weighs 397 grams, 15 grams lighter than last year’s 1X. So what? Skaters will appreciate an 11 percent faster shot release with a 20 percent more stable blade, that’s what. 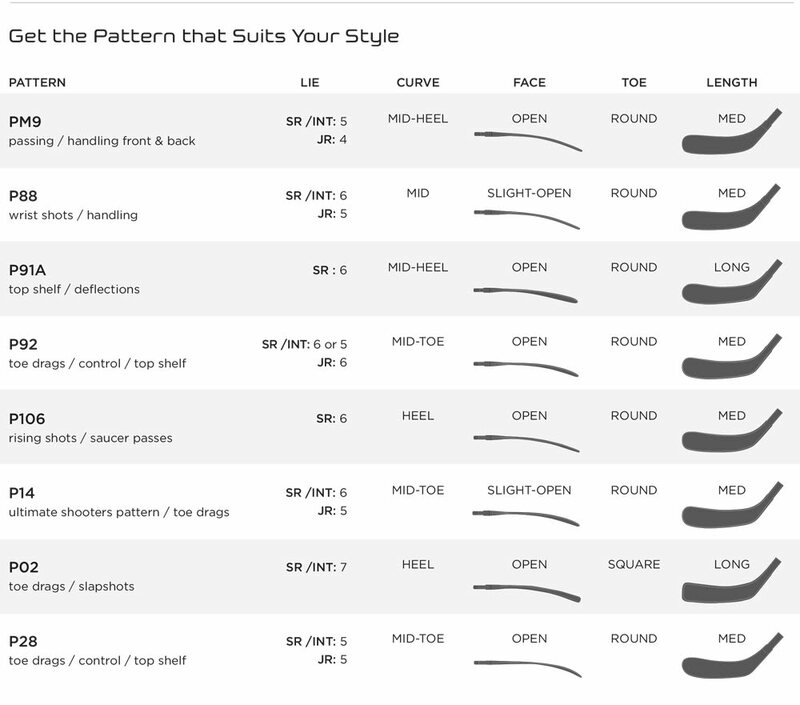 Skaters accustomed to the quick release of the 1X can now play with a little more of a mid-kick style when they need to load up but still shoot with accuracy. The new Vapor 1X Lite stick is the most versatile and quickest releasing Vapor hockey stick yet. Elite players will love the premium performance of this technologically-packed, top-end Bauer offering. Rated 5 out of 5 by Anonymous from snipin tendys I play highscuul hockey with thiss twiggy and get top corns evey time thansk from the boys on the benhc im wheeling babes. is this mesered from heel or toe? Typically sticks are measured from the top straight down to the playing surface. Thanks! Can anyone answer if this youth stick has the junior size shaft (or relatively close) making sure it is not the thin twigs that they used to be.